Google Drive set to launch next week | What Hi-Fi? 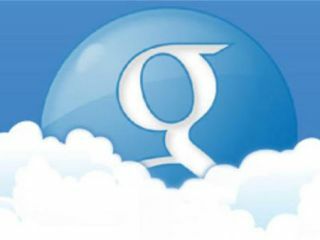 It looks as if cloud storage systems such as Dropbox, iCloud and SkyDrive are about to face a new rival, Google Drive, which is expected to launch next Tuesday. Google currently offers 1GB of free storage versus 2GB for Dropbox, 5GB for Apple's iCloud and 25GB for Microsoft's SkyDrive. But it seems Google listened as The Next Web is reporting that Google Drive will roll out as a free app for Windows, Mac, Android and iOS with 5GB free storage to start. When you've filled that 5GB with all your digital content you'll be able to buy more storage from Google, although there's no word on pricing yet. The leak from a mystery Google partner also points to Google Drive appearing as desktop folders on Windows PCs and Macs, possibly with auto-synced contents. It might also be possible to edit documents within the Google Drive smartphone apps.